everything we do and invite you to participate in our Green Guest programs. Mount View Hotel & Spa in Calistoga is a gracious grande dame of resorts, among the premier historic hotels of Napa Valley in Northern California.Calistoga offers visitors wooded hillsides, fine dining, luxurious spas, romantic getaways, golf outings, with lodging & accommodations adjacent to its famed vineyards, wineries and Napa Valley. Experience one of the best restorative spas in Napa Valley that will renew your body and refresh your mind a prelude to your activities & adventures in the wine country. 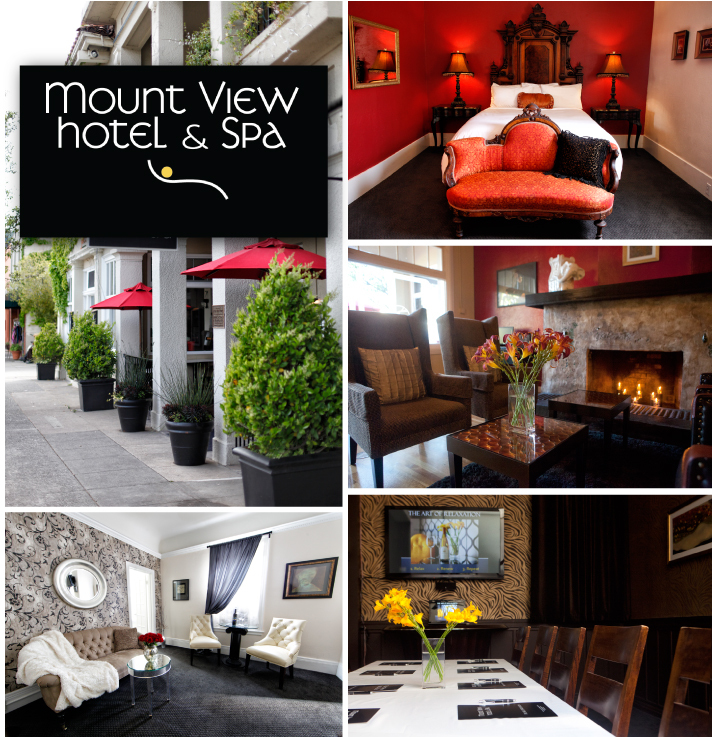 From facials and revitalizing body treatments to soothing massage, the Mount View Spa in Calistoga brings guests to a healthy state of balance and relaxation.